find out your werewolf name. . Wallpaper and background images in the আলফা ও ওমেগা club tagged: wolves wolf. 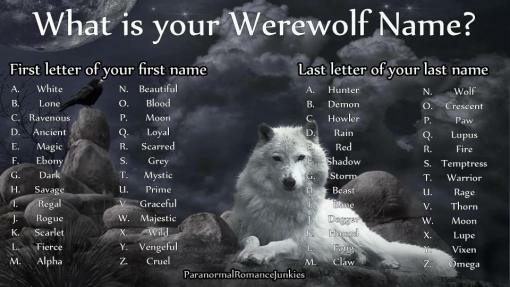 :l Mine is 'magic temptress' sorry name. If I went with my middle name first it would be mystic wolf. That sounds better. Cool um I'm white hunter beautiful name. Chapter 21: "She's cheating on me!"